Smith Home Improvements | Quality Craftsmanship. Practical Solutions. 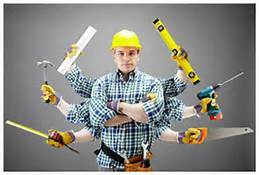 If you are handy with your tools, excellent in your work, and trustworthy in your dealings, then we might have an opportunity for you. Apply in person. Lasting relationships with our satisfied customers is important to us. That relationship is forged through clear communication, respect for your property, and unequaled service and support. Quality, Honesty, & Hard Work have always been core values for us. With Smith Home Improvements, you get a skilled team of craftsmen who use their insight and skill to exceed your expectations. We take pride in all of our work, and constantly strive to provide the highest quality that you will be proud of, too. We build buildings – and relationships – that last. To create real value for a space – to see through what exists to what could be – takes vision. We’ll help you determine the best combination of cost savings and design features to create the space that will match your budget and your lifestyle. 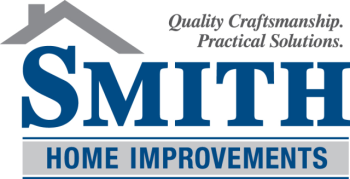 Commitment to quality craftsmanship, on-time performance, and the highest level of customer satisfaction is what you can expect from Smith Home Improvements. We take pride in all of our work, & constantly strive to provide the highest quality that you will be proud of, too. From Concept to Completion, Smith Home Improvements will turn your dreams into reality. When it’s time to repair or remodel any part of your home, we’ve got the experience and knowledge to do it right the first time. Quality materials from name-brand suppliers gives you the assurance that your project will last. The longer you do something, the better you become at it. Because we’ve been a stable and respected contractor in Central Kansas since 1988, you can be sure that your new construction project will come together in the right way, in the right time. We will capture your vision and your lifestyle to design a plan that will transform a simple house into our dream home. Solid pre-planning with attention to detail insures your satisfaction from start to finish. That’s our commitment to you.